Mediterranean cooking has always been one of my favorites. Growing up in Michigan, if I was ever asked where I'd like to go out to eat, chances are it would involve hummus and falafel. Luckily, between Dearborn, Detroit, Ann Arbor, and Royal Oak, there was always a ton of authentic restaurants to choose from. Moving to Austin in 2002, I realized how spoiled I was. There was just a smattering of Mediterranean restaurants here and there, and while I did find one that I enjoyed, as a grad student I didn't have the funds to eat there very often. I had been used to eating Mediterranean food two to three times a week, and after moving, I was eating it once or twice a semester if I was lucky. I missed the comfort of warm lentil soup, the bright flavors of fattoush and handrolled dolmas, the crunchy soft juxtaposition of falafel, and oh.....how I missed hummus. So, one evening, I was having dinner at my friends' house. One of them used to be a chef, so it was always a treat to join them for any meal. There was a wonderful spread of food on the table, but I just could not get over the hummus. It was a jalapeno and cilantro hummus, and I was fixated on it - it was so good. I asked them if they would share the recipe with me, at which they both laughed to themselves. Apparently, this was a recipe that they had to fight tooth and nail to wrest from a neighbor a few years back, and they waxed poetic about how difficult it had been for them to learn the "secret of hummus." Needless to say, I left empty-handed that night. But experiencing that nostalgia while eating the hummus, I was determined to learn how hummus was made, even if I had to teach myself. After all that talk of the "secret of hummus," I was prepared for my internet search to turn up complicated recipes calling for strange, exotic ingredients from foreign lands. Quite the contrary, I was surprised at how few ingredients were actually needed, and even more surprised at how quickly it could be made. After a few false starts, I started adding some personal touches, invested in a food processor, and was soon making some pretty tasty hummus. Throwing caution to the wind, I worked up the courage to bring it to a potluck one night. I was immediately swarmed with requests for the recipe. That's when I realized - I had the "secret." So why would I share this "secret" with you? Let me count the reasons. :) First of all, it's very nutritious, providing a great source of protein, fiber, and Omega-3 EFAs. It's also an underachiever on the Glycemic Index, making it a tasty in-between-meals snack that won't send you hurtling into a food coma. Additionally, there are so many ways you can serve it, whether as a dip, slathered between two pieces of rice toast, or in place of dressing on fresh greens and veggies. And finally, if you love hummus like I do, making it yourself saves you so much money compared to buying those little plastic preservative-laden tubs (that don't taste very good) from the grocery. The real question should be, "Why wouldn't I share the 'secret' with you?" 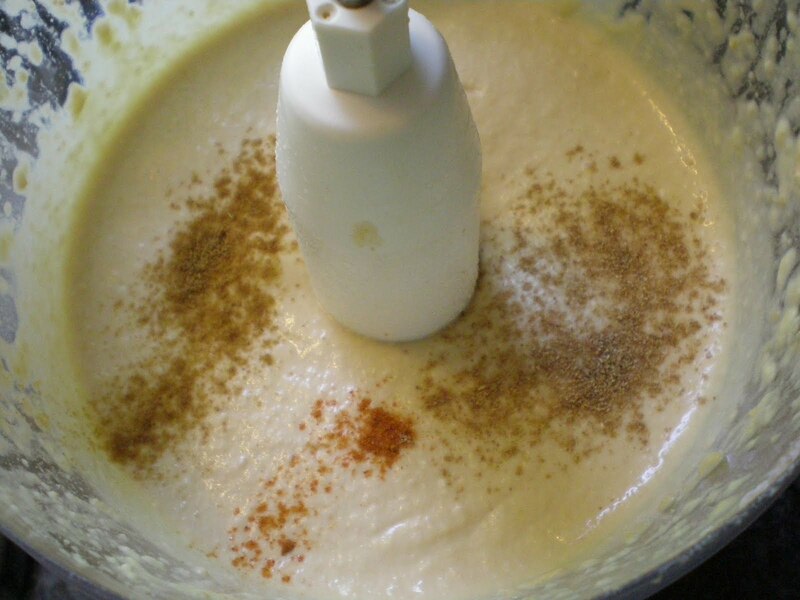 **if using a blender, half the recipe and make in two batches for best results. 1. 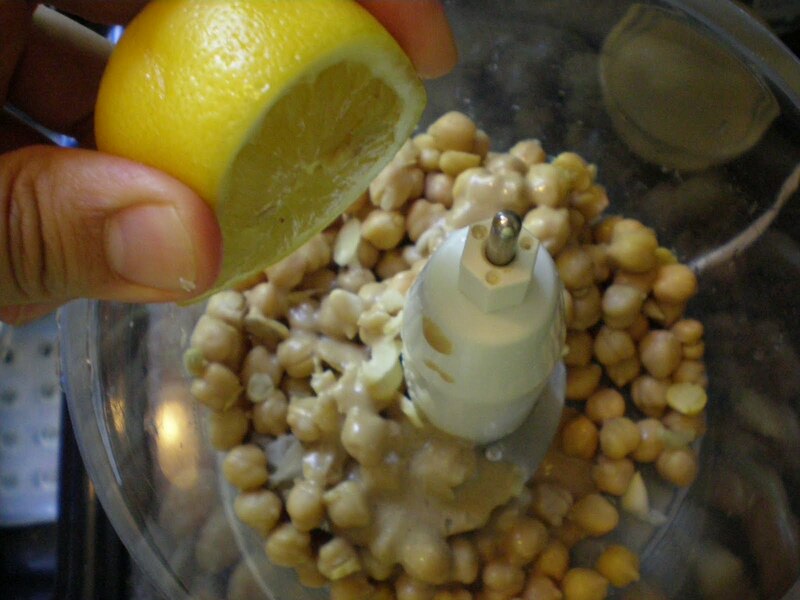 Drain both cans of garbanzo beans, setting aside the liquid from one can. 2. Pour approximately half the beans in the food processor. Add garlic, lemon juice, and tahini. 3. Add remaining beans and the liquid from one of the cans. 4. Cover the food processor and pulse the ingredients to start bringing them together. 5. 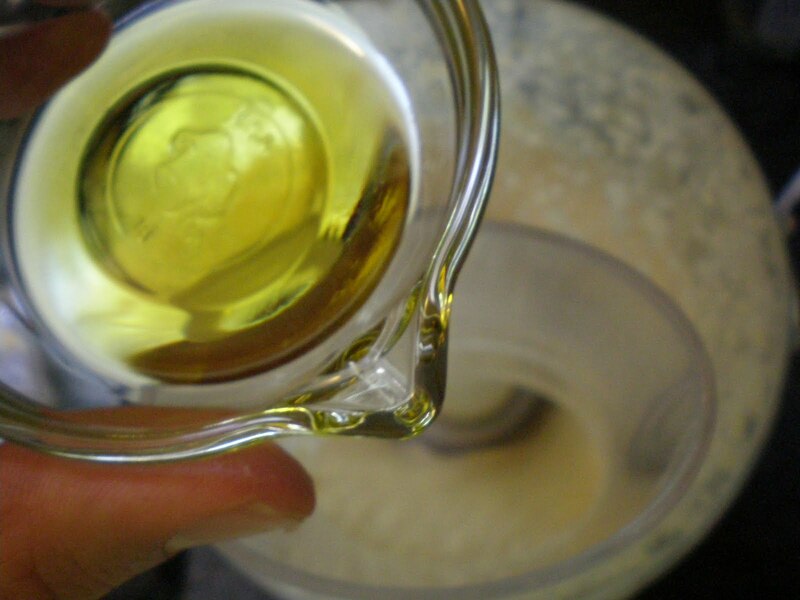 Once loosely combined, turn the processor on and begin to drizzle the extra virgin olive oil in very slowly. This is very important to the texture, so take your time. 6. Once desired consistency is reached, add spices. 7. Pulse to combine, taste, and then season with salt if needed. 8. Transfer to a container and chill before serving for best results. 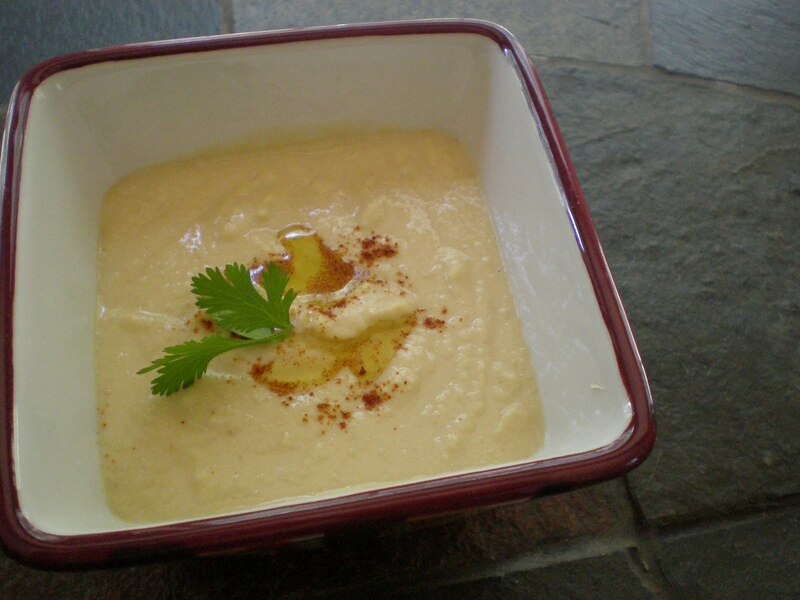 If your hummus seems a little on the liquidy side, don't worry - refrigeration will thicken the consistency. Part of the trick is actually making it a little less thick than you would like the final product to be. And that's it. Simple, quick, and delicious. 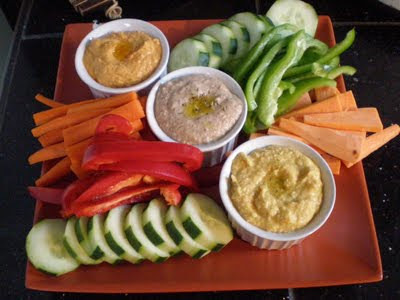 And a great bonus is how wonderful a canvas hummus can be for different flavors. Who says hummus can only be Mediterranean? In the above photo, the three different hummuses pictured are (from top to bottom) roasted red pepper with smoked paprika and chipotle, kalamata olive with basil and oregano, and finally coconut, lime, shredded carrot, and coriander with sriracha. Yum, yum, and yum. Give yourself the opportunity to experiment and play with different spices and ingredients and you can take your tastebuds anywhere you want. my mouth is watering. can't wait to try this out! its even easy enough for me! Hummus is a lifesaver =) I recall whipping up a quick batch before meeting my brother at the airport. I simply used 3 ingredients in that instance: my homemade cilantro/parsley chimichurri, chickpeas and some freshly ground black pepper- placed it all in my mini chopper and voila. Chopped up some veg and took off for the airport. You can never go wrong with hummus. Hummus will never break your heart (unless you've bought one of those tubs of the awful brand.... then and only then will hummus break your heart!). The beauty of hummus is that you can use almost any type of bean: edamame, black, pinto,lima, fava....the combinations of beans and flavors are endless. Yay for hummus! =) It's so yummy, healthy and easy to make! Truly one of life's great epicurean delights. I grew up in Detroit burbs as well. Everytime I go visit I hit up my favorite Middle Eastern restaurants. Best food ever!